1. First of all, You have to create ERC20 wallet address to Recieve Free Tokens. 3. Now Enter the password of your choice and click on “Create wallet“. Note: This password encrypts your private key. This does not act as a seed to generate your keys. You will need this password + your private key to unlock your wallet. 4. Now Click on “Download Keystore File UTC/JSON”. I suggest you to immediately upload it to drive.google.com/drive/my-drive So if you lost your phone or its data, you can recover it from your email (Highly recommended). 6. Now your Ethereum ERC20 wallet address is Ready, where we can receive Free Tokens/Airdrops. 7. Now Access your wallet by Private key or Keystore / JSON File. 8. 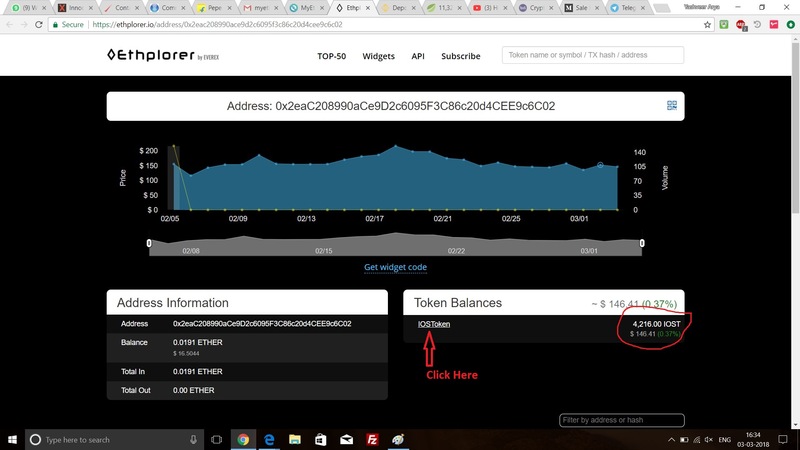 Now you will see your “Account address” starting with 0x2… (This is your ERC20 wallet address), which you can give to anyone for receiving cryptocurrency. 2. Login using any of your method. 3. 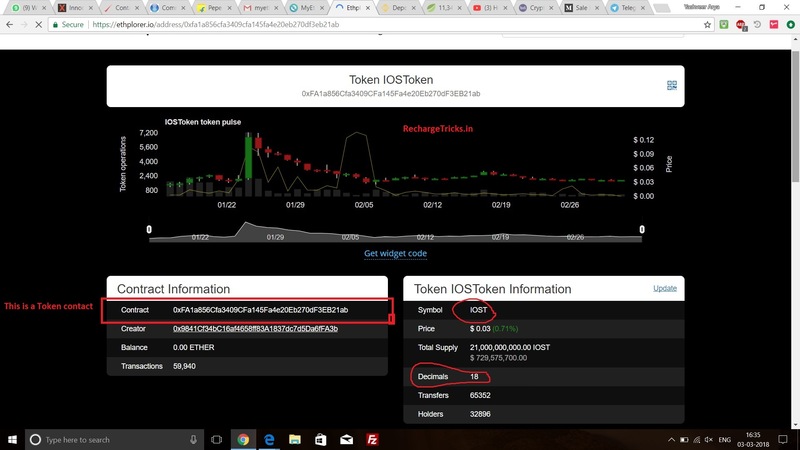 Now Click on “Tokens (Ethplorer.io)” to See your Token Balance. 5. Now You will get the Contract Information and Token Information as shown in below Screenshot. 6. Now Come back to Myetherwallet and Click on “Add Custom Token” and Put Contract address, Symbol and decimal and Save it. 7. Now you will see your Tokens and click on “Load” to see your Token balance. 8. 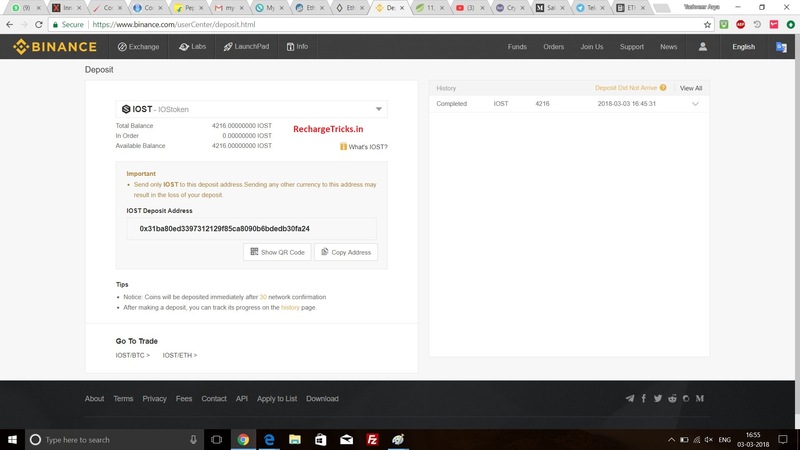 Now we will transfer Tokens to an Exchange site like Binance, Just Login your binance account and goto Balances and Search your Token and Click on “Deposit” and get your deposit address. 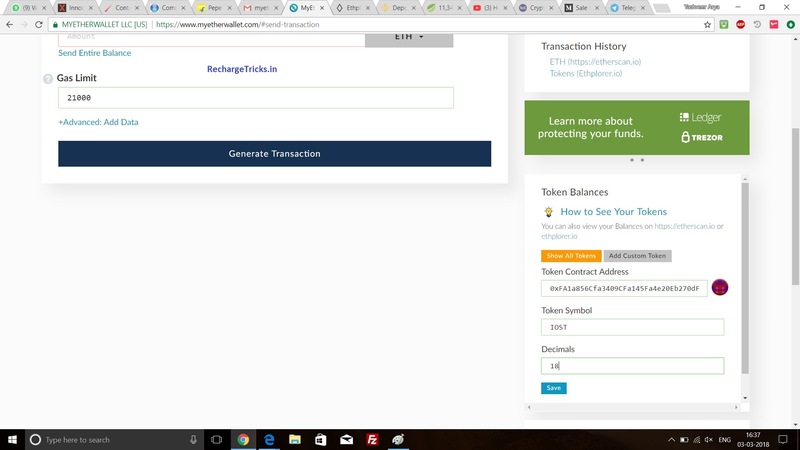 Note:- To Make a Transaction, You need Some ETH in your myetherwallet, Because we have to Pay Network fee in ETH and not in Free Token balance, So you have to Purchase few rupees ETH via Indian Exchange like Bitbns, Koinex, Zebpay, CoinDelta. I Suggest you to buy from Bitbns because of lowest ETH Withdrawal fee (around Rs 60) and they accept lowest deposit amount of Rs 100 to 1 Lakh via UPI/IMPS. 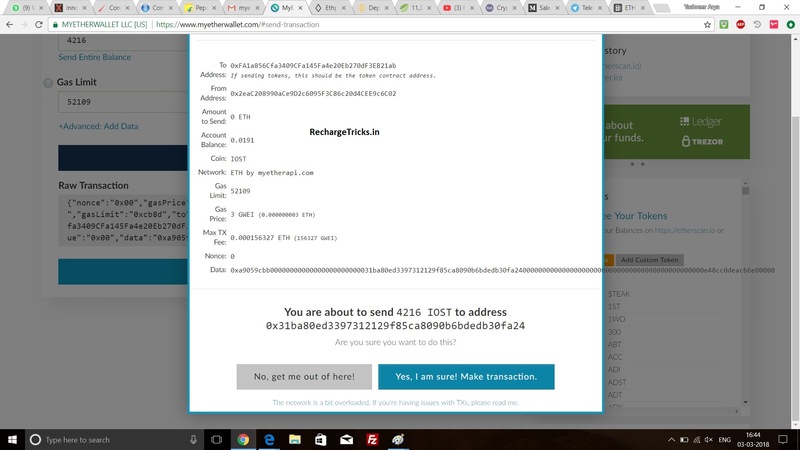 While Koinex/Zebpay charge you around Rs 180 for sending ETH to Myetherwallet.com. 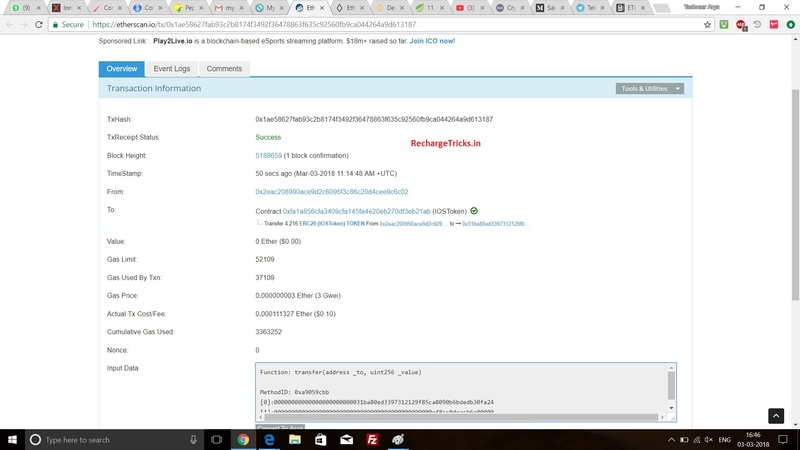 Once you got your ETH in myetherwallet.com address then Look at our Step no.9. 10. Click on “Generate Transaction” and Send it and Confirm your send Tokens !! 11. 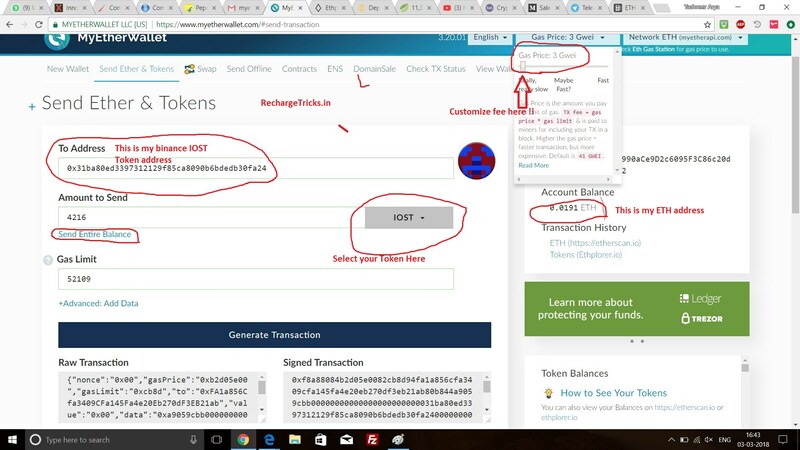 You can check your Transaction status using your Txn hash like below screenshot, Binance will deposit your Token after 30 Confirmations and most of exchange will deposit your Ethereum or ERC20 Token after 25-30 Confirmations Except some useless exchange like Zebpay who need 100 confirmations !! 14. If you want to Cash your Bitcoin to your Bank account. Then Buy Ripple from your Bitcoin balance on Binance and Transfer that Ripple to Indian exchange (Again i suggest you to use Bitbns because of Fast withdrawal and lower fee). Now you are thinking why not Directly sell bitcoin to indian exchange instead of Converting them to Ripple, Its because of Bitcoin withdrawal fee will cost us around Rs 350, while Ripple at Rs 1 !! 15. Drop a Comment if you have Question, But before comment Please read article carefully and 2-3 Times. What is its benefit ?? Its for those who want to take participate in Free Airdrop of Cryptocurrency. Here we have posted about an Airdrop where we are getting around $6 per referral. Hey yash, bitbns is a fake site.. So i request not to promote it..
By the way, why you are saying them Fake? what was the problem faced by you? You can contact them on telegram and they will solve your problem instantly !! Note: i am not doing trading in indian sites because this will give me financial loss, i come only for withdrawal in indian exchanges. My Trading Platform is Bitfinex and i love Bitfinex because of High Volume and This is worlds largest exchange with High functionality and Margin Trading ! !